Officially at Rockford International Airport we've gotten 0.74" of additional rainfall today. The nagging rain throughout Saturday really dampened our temperatures and for most of the day, we were stuck in the mid 60s. 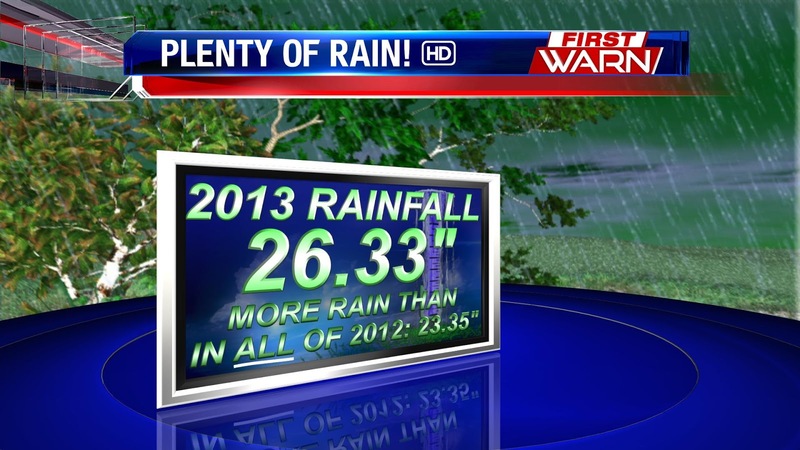 The Stateline has gotten its fair share of the rain thus far in 2013. 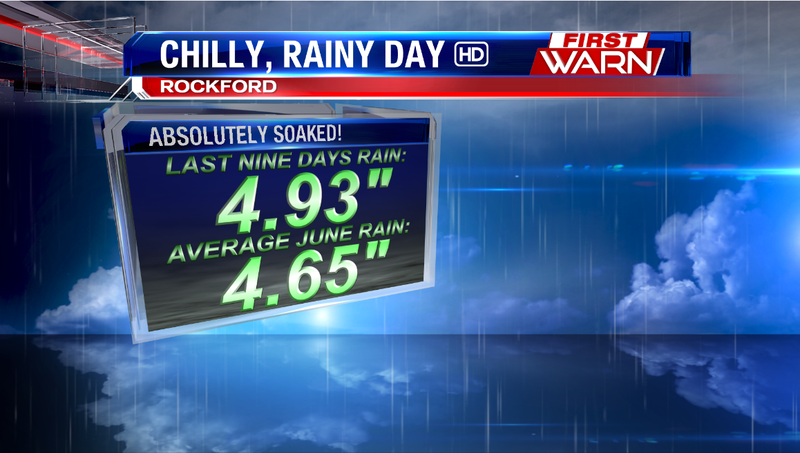 In fact, officially in Rockford, we've gotten more rain through June 28th than we saw in the entire 2012 year! Granted, last year we were experiencing drought-like conditions. 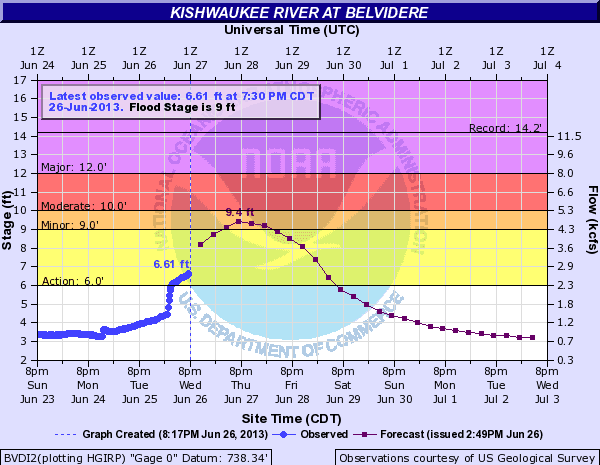 In fact, at one point 95% of Illinois and 51% of Wisconsin was in the "severe" drought category. 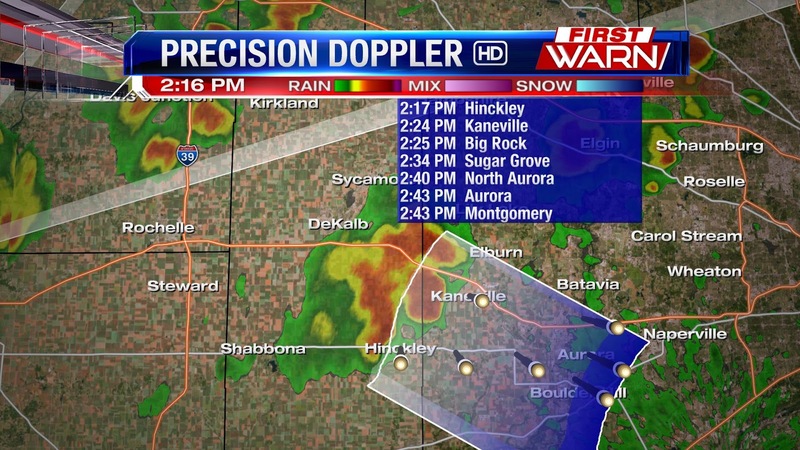 Strong storm in DeKalb county near DeKalb reported a 46mph wind gust. 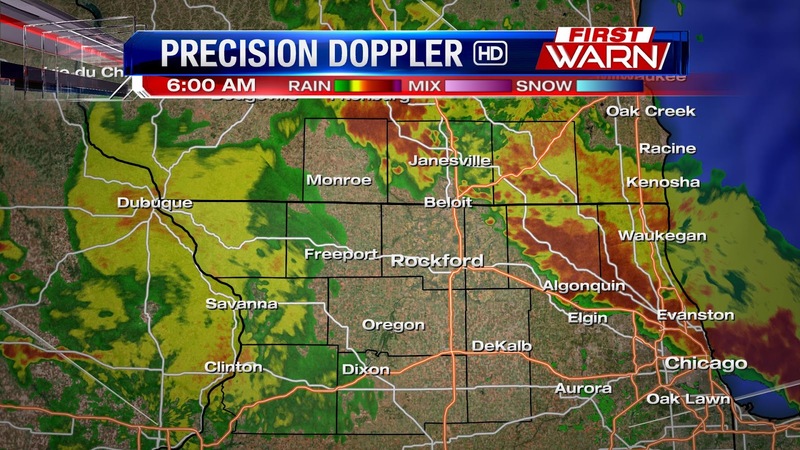 Gusts up to 55mph are possible with this storm. 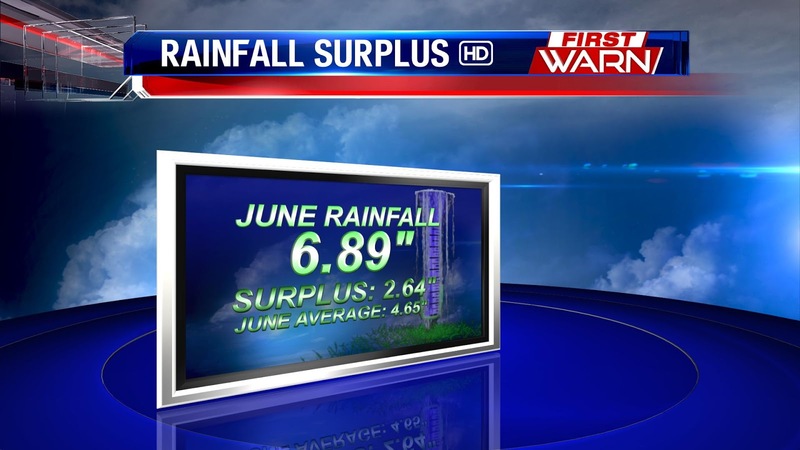 Rainfall during the month of June started off a little slower than some would have liked. After coming off of a fairly wet and cool spring it was nice to dry out but it was starting to get a little too dry; until last Friday night. Thunderstorms pounded the Midwest with significant rain falling over parts of Wisconsin and Northern Illinois late last Friday and early Saturday morning. 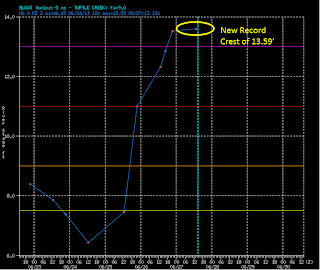 In fact, Rockford set a daily rainfall record last Saturday when over 2 inches of rain fell. Additional showers and thunderstorms in the days to follow really added up with continuous thunderstorms through Thursday evening. So far 6.89" of rain has fallen in June putting us nearly two and a half inches above the monthly average. 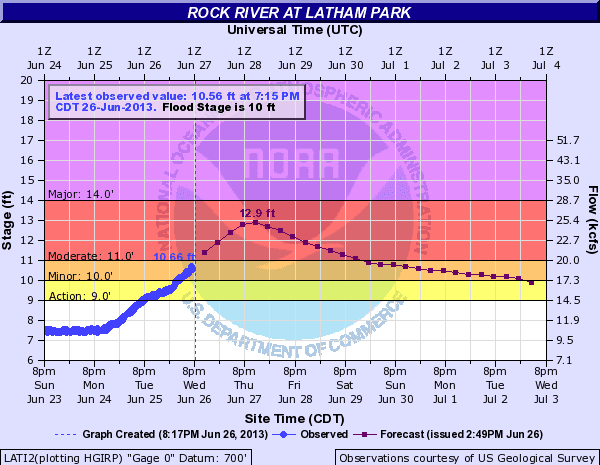 What's even more impressive is a little more than five and a half inches of that rain fell within a week! A few thunderstorms did develop Thursday afternoon with torrential downpours but most of that fell east and northeast of the Stateline. Additional showers/storms are likely again today and Saturday as a few upper level disturbances move through. The image on the left is the future radar at 3pm from the HRRR model and it shows those showers and thunderstorms popping up with the heating of the day and drifting to the south and southeast. I believe showers will begin to develop around noon to the north in Wisconsin and move into northern Illinois between 1pm and 3pm. While severe weather isn't anticipated some of the heavier showers/storms could contain small hail and brief heavy downpours. 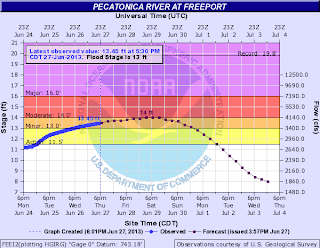 Rainfall amounts over the next couple of days should remain under an inch so any additional river flooding is not anticipated. 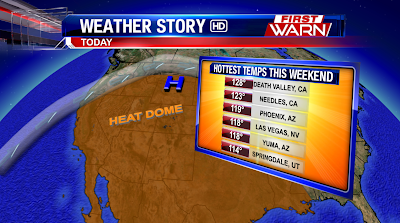 Fortunately, Thursday stayed dry for most of the Stateline. 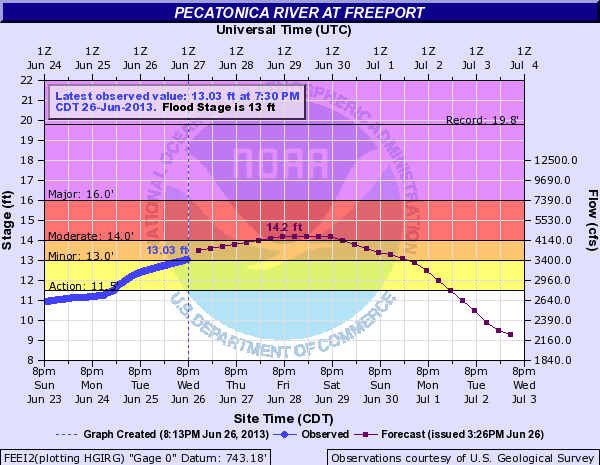 For many area rivers, we are expecting flood waters to crest over the next 48 hours. 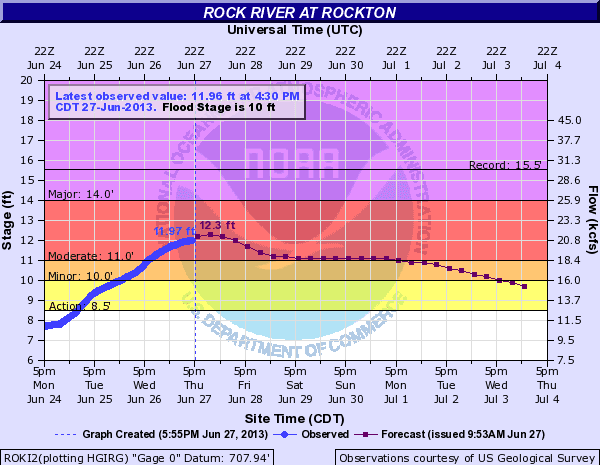 Here's a glance at when some of the main rivers around the Rockford area should top out. 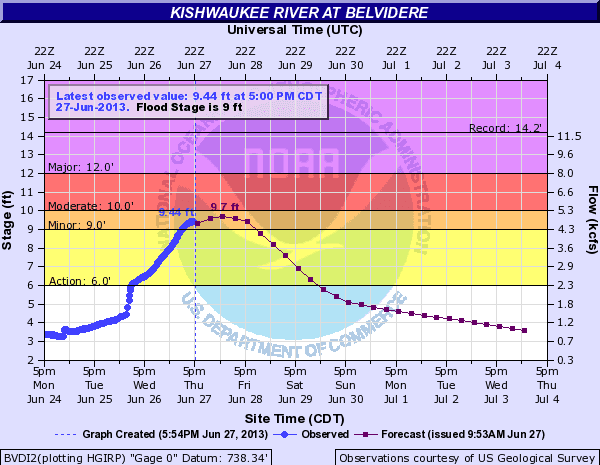 For more detailed info on current Stateline rivers levels and flooding forecasts, click here. 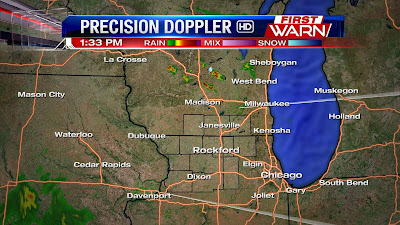 We're be monitoring a few showers and storms in Wisconsin that could swing into the Stateline later this afternoon. 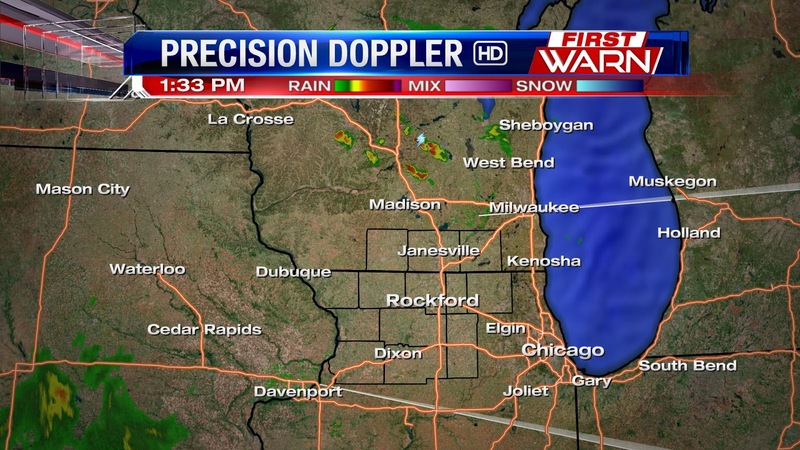 Precision Doppler just after 1:30pm is showing a few showers and storms north of Madison. These storms are moving southeast, meaning most of us have nothing to worry about. A few more storms will be possible as we roll through the rest of our Thursday. 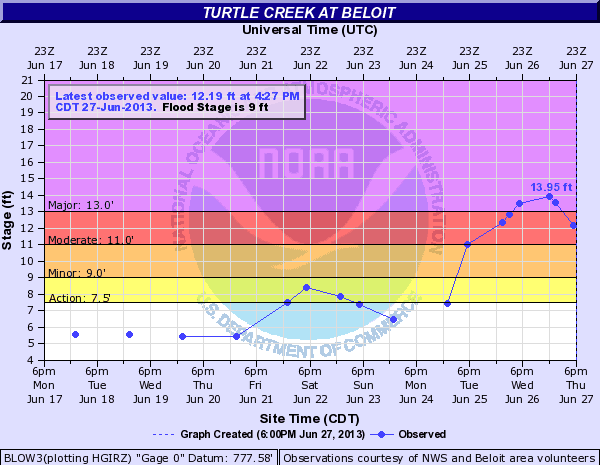 Turtle Creek in Beloit reached a record crest this morning of 13.59'! 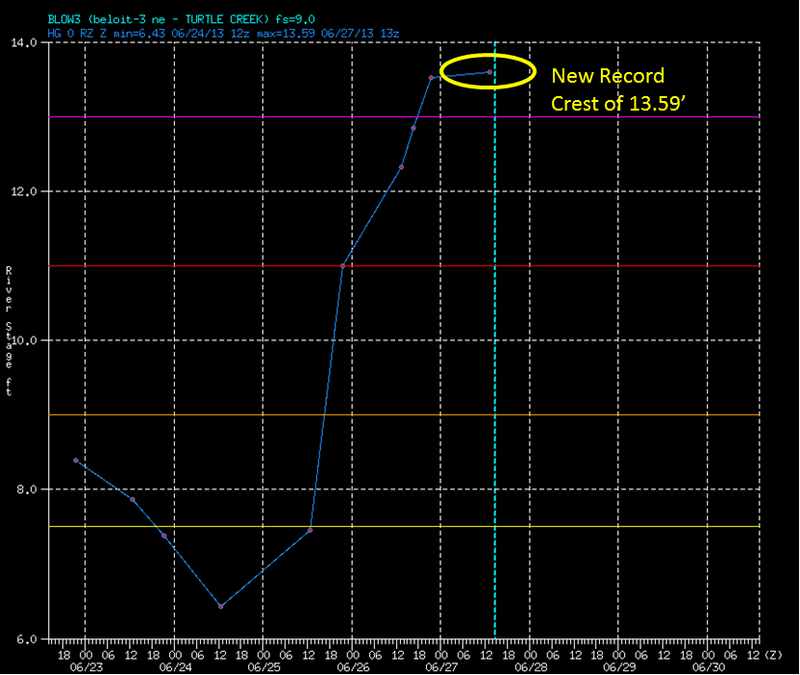 Water levels on the creek have been dropping upstream and are expected to begin dropping downstream soon. 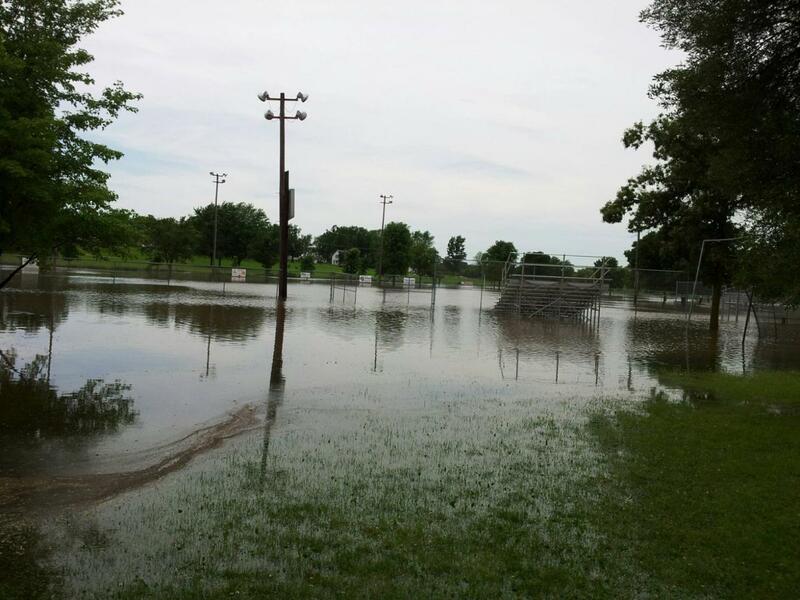 Flooding, however, continues to occur in Beloit. 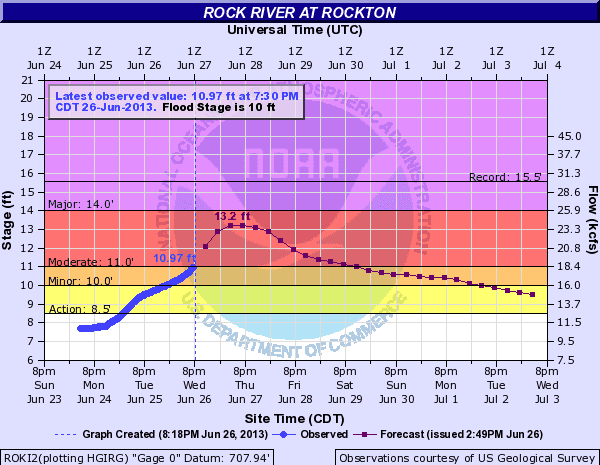 Rock River water levels are expected to crest within the next day or two with moderate flooding expected. Click here for an up-to-date look at water levels and expected crests for area rivers. LITTLE INHIBITION REMAINING BY MID AFTERNOON. AND NORTHWEST RESULTING IN VERY WEAK CONVERGENCE ALONG THE FRONT. WOULD APPEAR TO BE LARGE HAIL. 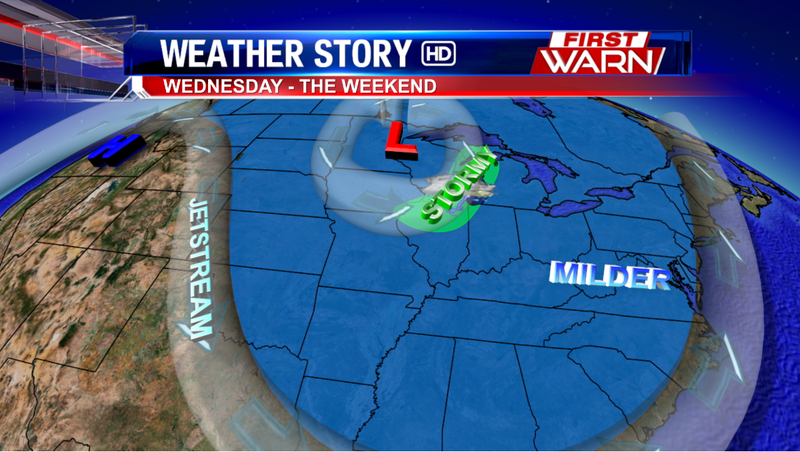 Thunderstorms will be possible once again this afternoon as an upper level disturbance rolls through the Great Lakes. Storms have been moving through southwest Iowa and into northern Missouri but those won't be a factor for us as they're moving more southeast. Thunderstorms are likely to develop between 2pm and 3pm in Wisconsin and drift southeast into north-central Illinois after 3pm and begin to diminish as the sun begins to set. 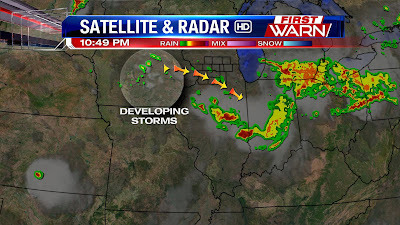 Storms, should they develop, they could become strong as winds in the atmosphere favor hail and wind producing storms. Because of this the Storm Prediction Center has northern Illinois southern Wisconsin under a slight risk for storms this afternoon. 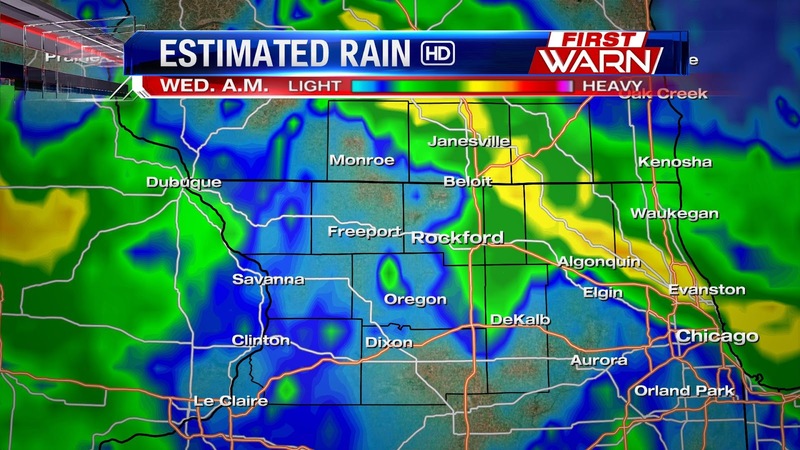 Heavy rain hammered parts of the Stateline Wednesday morning, which is leading to flooding concerns heading into the weekend. 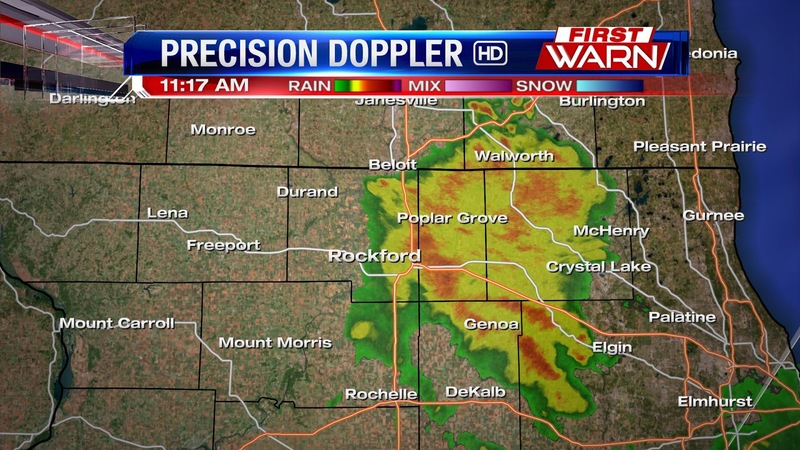 Estimated rainfall on our Precision Doppler shows the heaviest rain falling in areas like Janesville and Rockford heading east into Boone and McHenry counties. Much of this rain fell in a hurry. 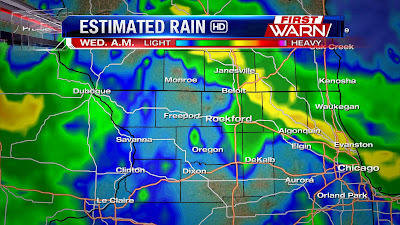 Areas like Rockford picked up several inches of rain in a matter of hours. 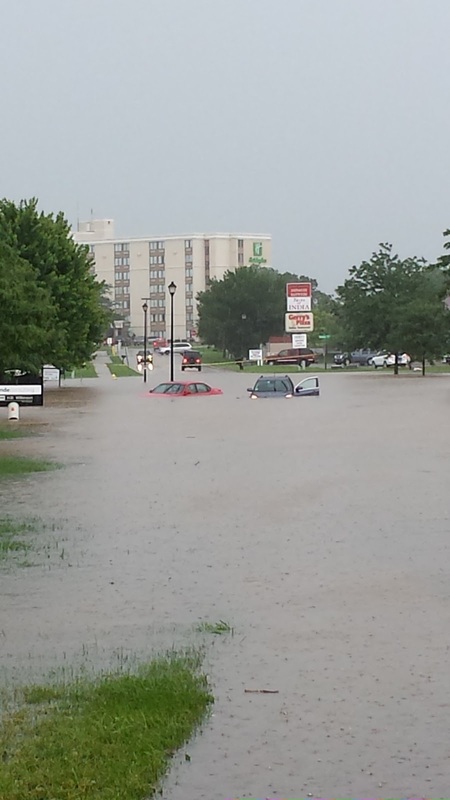 Here are some of the National Weather Service's preliminary reports from Wednesday's rain. 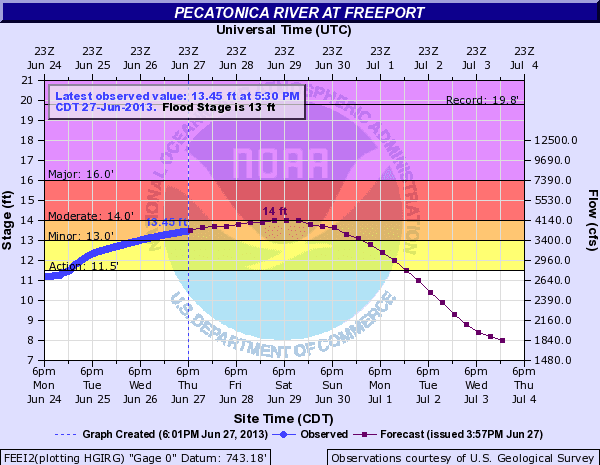 For a full list of current river levels and forecasts, you can click here. 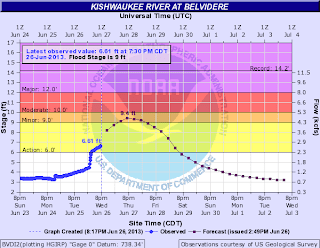 (11:59:18 AM) nwsbot: Local Storm Report by NWS LOT: De Kalb [Dekalb Co, IL] law enforcement reports FLOOD at 11:54 AM CDT -- water across many roadways across northern part of dekalb county. 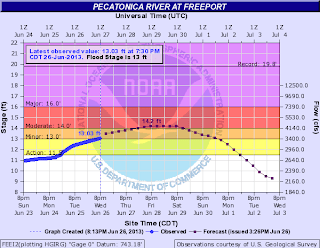 (11:23:21 AM) nwsbot: Local Storm Report by NWS LOT: Rockford [Winnebago Co, IL] law enforcement reports FLOOD at 11:00 AM CDT -- from winnebago county sheriff...many roads flooded in the county but no roads closed at this time. 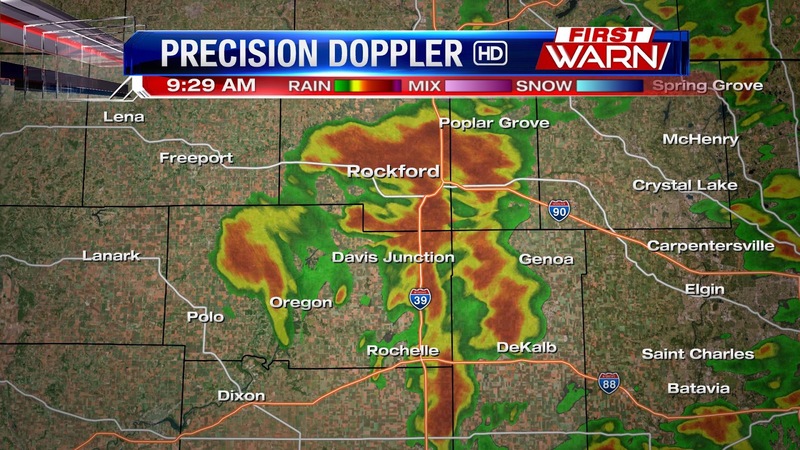 11:15am: The heaviest of the rain is beginning to move out but significant flooding has taken place across Rockford with roads, parking lots and creeks being overcome with water. 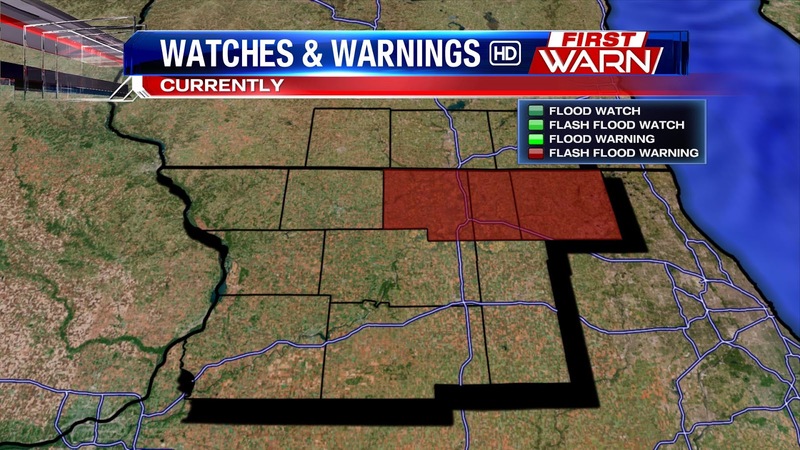 Flash Flood Warnings are now in effect for Winnebago and Boone counties until 4:30pm. 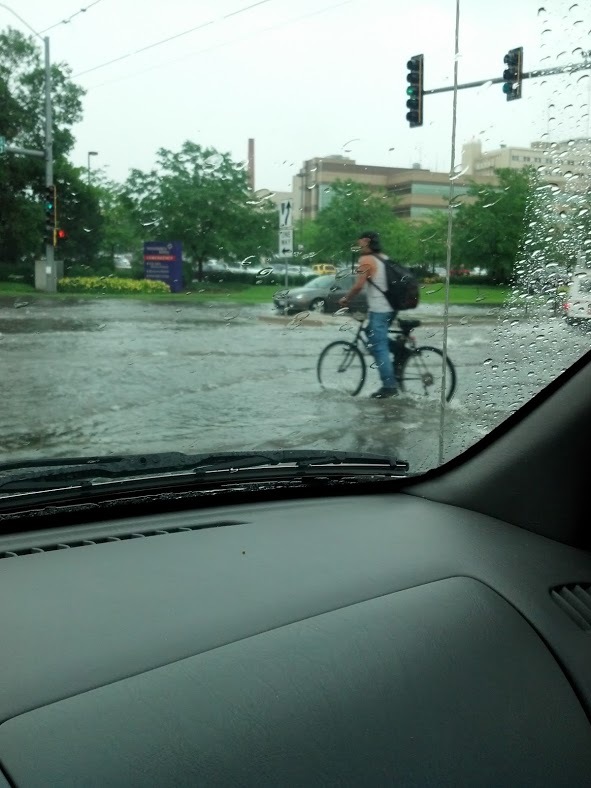 There have been several reports of standing water on roads and Keith Creek was at bankfull. 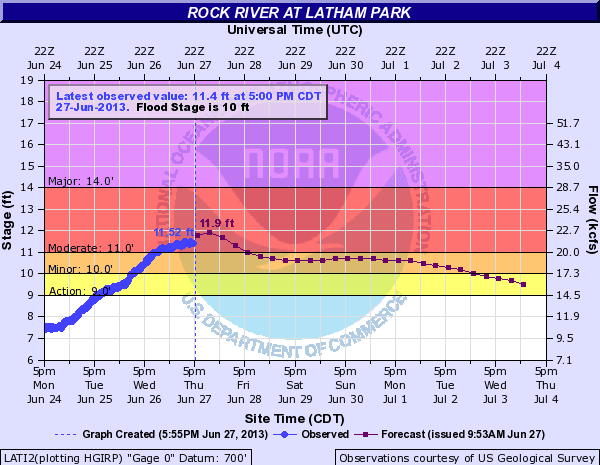 Additional showers will continue to runoff and cause flooding. 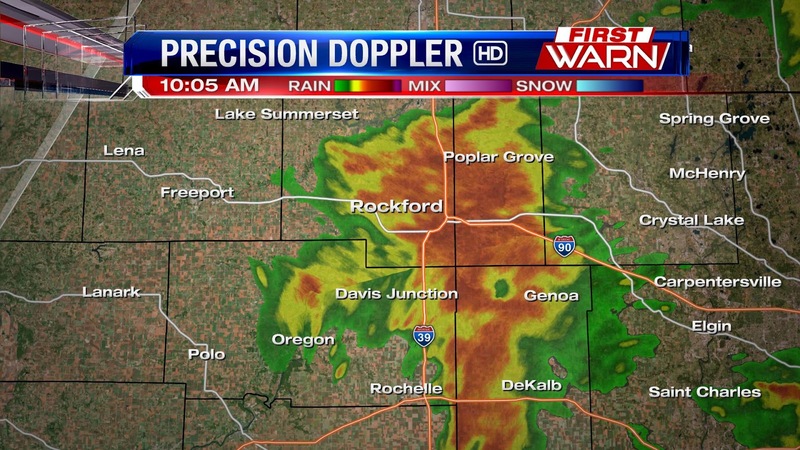 Estimated radar rainfall rates of over an inch per hour are occurring with the heaviest of the rain now eastern Winnebago and Boone counties. 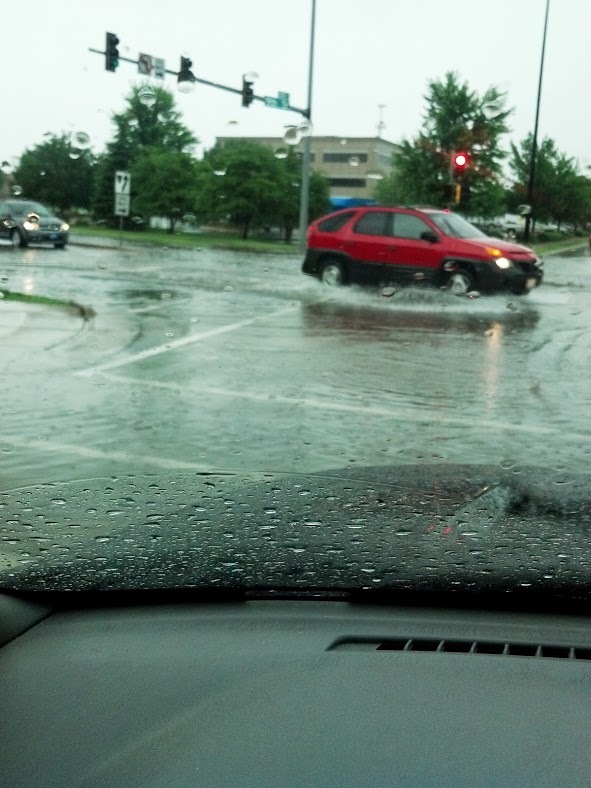 Flash flooding has been occurring across Rockford. 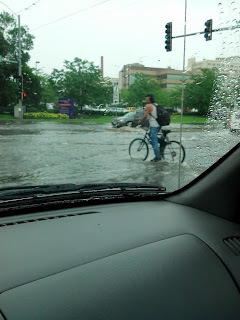 Remember, if you see a flooded roadway TURN AROUND, DON'T DROWN! 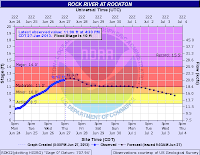 (9:57:53 AM) nwsbot: Local Storm Report by NWS LOT: SE Rockford [Winnebago Co, IL] trained spotter reports FLOOD at 09:45 AM CDT -- 6 inches standing water at harrison ave and olsen. 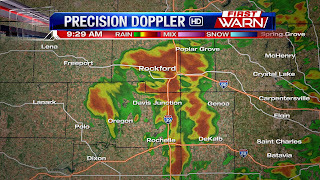 (9:57:53 AM) nwsbot: Local Storm Report by NWS LOT: Rockford [Winnebago Co, IL] public reports HEAVY RAIN of M1.85 INCH at 09:50 AM CDT -- rain in 40 minutes. at east state st and Fairview. 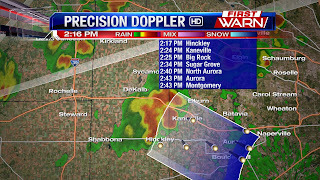 Thunderstorms producing very heavy rain have developed across Winnebago, Boone, Ogle and DeKalb counties moving slowly to the northeast around 20mph. 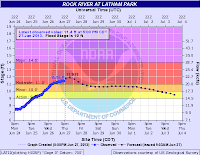 Loves Park, Machesney Park, Rockford, New Milford, Belvidere, DeKalb, Kingston, Sycamore, Genoa, Poplar Grove, Carpon, Forreston, Creston and Malta will all be impacted. Flash flooding will be possible with some of the heaviest of the rain. 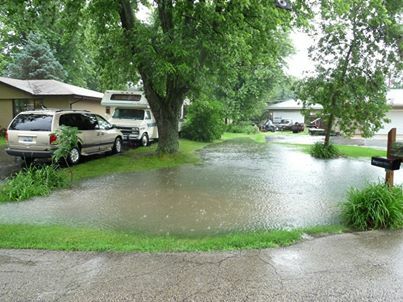 Major flooding taking place to the north and east this morning. 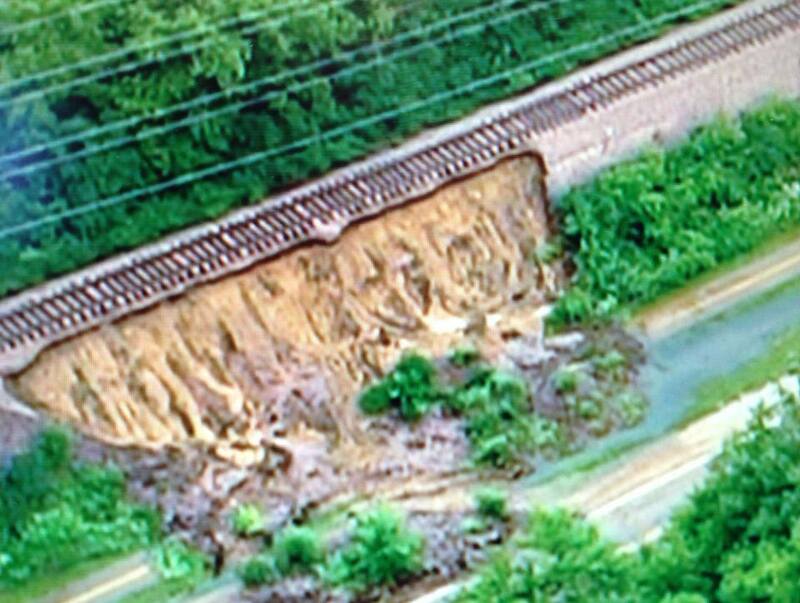 Eyewitness News Reporter Matt Rodewald snapped this photo in Crystal Lake on Terra Cotta Road north of Northwest Highway. Remember: NEVER DRIVE THROUGH A FLOODED ROADWAY. It looks like the red car in the photo may have either stalled from trying to drive through or has become stranded. 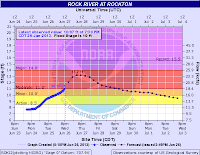 (8:40:50 AM) nwsbot: Local Storm Report by NWS MKX: Edgerton [Rock Co, WI] trained spotter reports FLASH FLOOD at 08:40 AM CDT -- west fulton st is blocked off due to flooding. 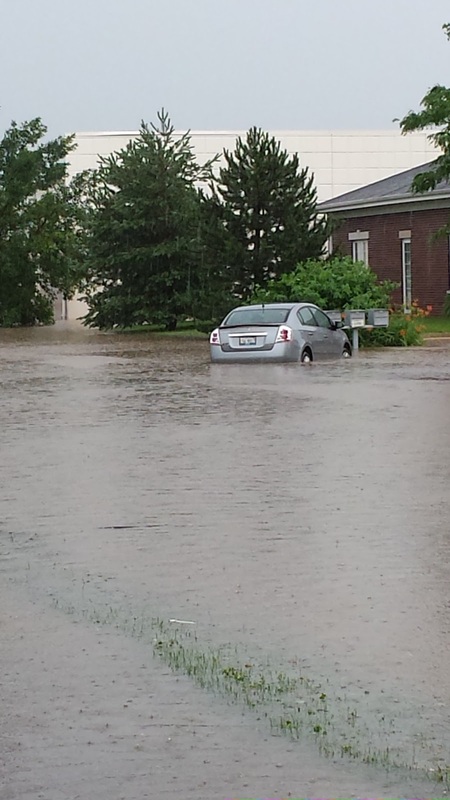 1 foot of water over road. 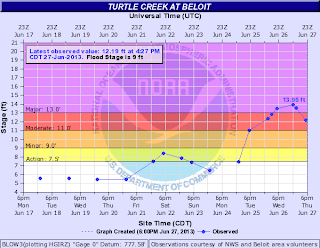 (7:55:45 AM) nwsbot: Local Storm Report by NWS MKX: Dayton [Green Co, WI] law enforcement reports FLASH FLOOD at 07:50 AM CDT -- numerous roads barricaded due to high water. 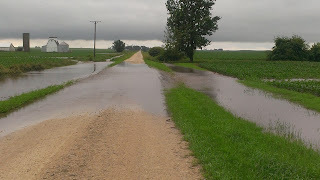 county road n north of dayton closed due to flooding. 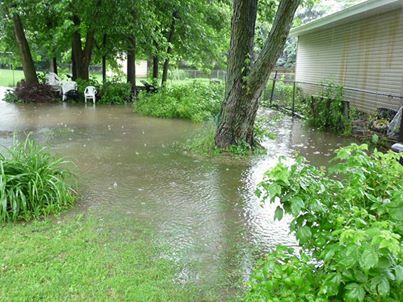 high water issues reported from belville to dayton and brooklyn. 2 day rainfall estimates from 9 inches on legacy products to 12 inches on dual pol. up to 4 inches in the past 4 hours. (6:55:48 AM) nwsbot: Local Storm Report by NWS LOT: 2 NE Mchenry [Mchenry Co, IL] cocorahs reports HEAVY RAIN of M5.29 INCH at 06:54 AM CDT -- most fell between 3am and 6am. (6:02:36 AM) nwsbot: Local Storm Report by NWS LOT: 1 S Mchenry [Mchenry Co, IL] co-op observer reports FLASH FLOOD at 05:59 AM CDT -- entire roads covered with three to four inches of water...flowing in places. some areas impassable. 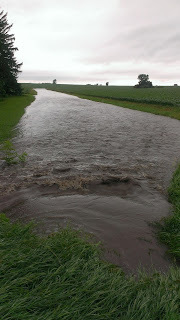 on rte 31 south of mchenry. 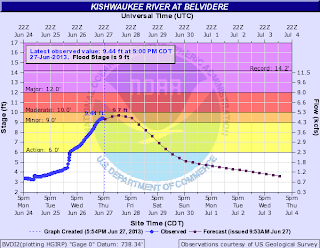 (5:39:02 AM) nwsbot: Local Storm Report by NWS LOT: Woodstock [Mchenry Co, IL] co-op observer reports HEAVY RAIN of M2.79 INCH at 05:35 AM CDT -- 24 hour total with most of it this morning. 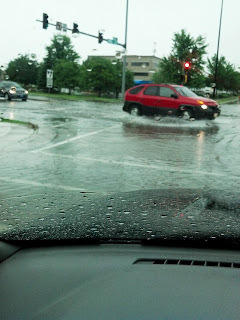 water covering streets of downstown woodstock about 3 inches deep at this time. 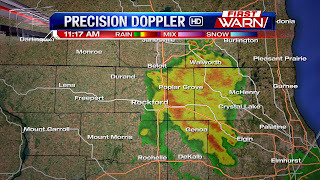 Thunderstorms developed over northern Illinois early this morning producing heavy rain, frequent lightning and even small hail. Those storms have now moved to the north and east and continue to produce significant flooding concerns for McHenry County. 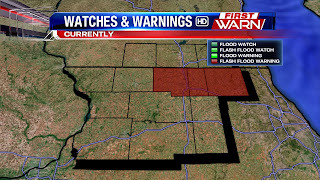 Flash Flood Warnings have been issued for Boone and McHenry counties until 11:30. The storm complex will continue to weaken as it moves into northern Illinois later this morning but additional storms may develop later today ahead of the main cold front and low pressure system forecast to move through mid-afternoon. Once this system passes the active weather pattern will shut down, however, showers and storms will occur Thursday and Friday as weak disturbances move through the Great Lakes. 10:45pm Update: Storms are now starting to develop in Iowa. 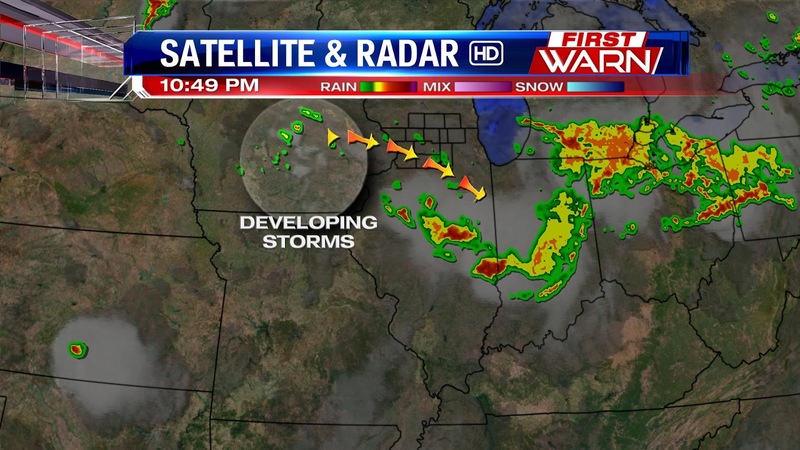 These storms will move east-southeast into Illinois sometime after midnight. 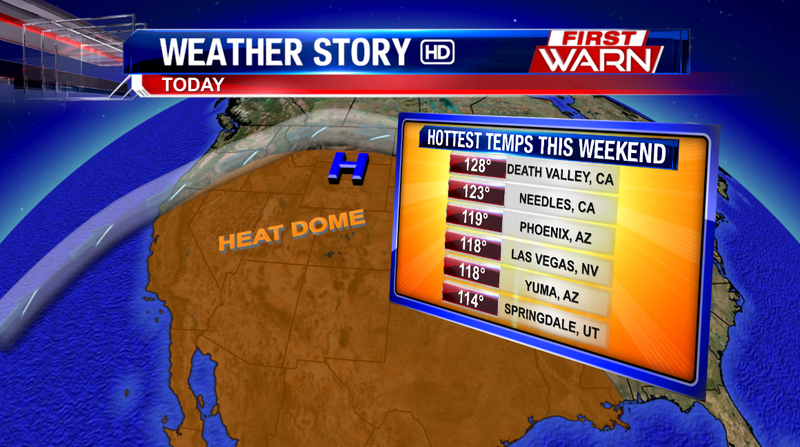 If storms become severe, they will be capable of strong winds and hail. The bigger concern heading into the day Wednesday will be flash flooding as storms are expected to increase in coverage and intensity by Wednesday morning. 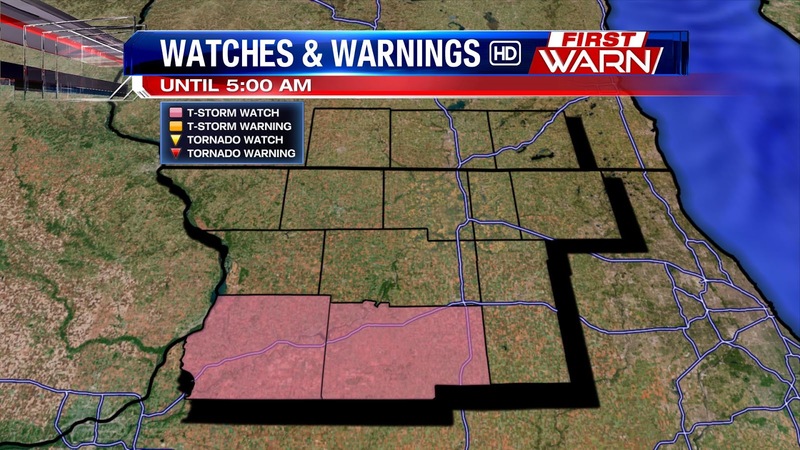 The Stateline remains under a Flash Flood Watch through Wednesday evening. 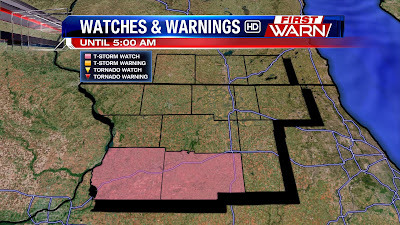 9:55pm Update: A Severe T-Storm Watch in is effect for Whiteside and Lee until 5:00am. 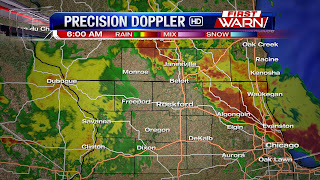 Stay tuned to WTVO, FOX 39, MyStateline.com, and the blog for more on developing severe weather. Serving northern Illinois and southern Wisconsin with comprehensive weather reporting and information, from WTVO Channel 17 and WQRF FOX 39 in Rockford, Illinois.